CA PC 16 states: 16. Crimes and public offenses include: 1. Felonies; 2. Misdemeanors; and 3. Infractions. 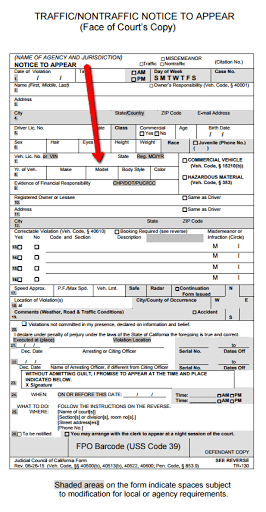 California Penal Code 740 states: All misdemeanors and infractions must be prosecuted by a written complaint under oath subscribed by the complainant. VC 40513. 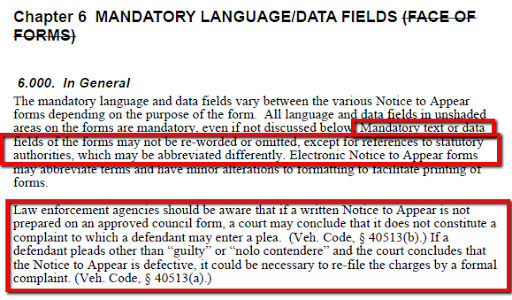 (a) Whenever written notice to appear has been prepared, delivered, and filed with the court, an exact and legible duplicate copy of the notice when filed with the magistrate, in lieu of a verified complaint, shall constitute a complaint to which the defendant may plead “guilty” or “nolo contendere.” If, however, the defendant violates his or her promise to appear in court or does not deposit lawful bail, or pleads other than “guilty” or “nolo contendere” to the offense charged, a complaint shall be filed that shall conform to Chapter 2 (commencing with Section 948) of Title 5 of Part 2 of the Penal Code, which shall be deemed to be an original complaint, and thereafter proceedings shall be had as provided by law, except that a defendant may, by an agreement in writing, subscribed by him or her and filed with the court, waive the filing of a verified complaint and elect that the prosecution may proceed upon a written notice to appear. (b) Notwithstanding subdivision (a), whenever the written notice to appear has been prepared on a form approved by the Judicial Council, an exact and legible duplicate copy of the notice when filed with the magistrate shall constitute a complaint to which the defendant may enter a plea and, if the notice to appear is verified, upon which a warrant may be issued. If the notice to appear is not verified, the defendant may, at the time of arraignment, request that a verified complaint be filed. In the case of an infraction violation in which the defendant is a minor, the defendant may enter a plea at the arraignment upon a written notice to appear. Notwithstanding any other provision of law, in the case of an infraction violation, no consent of the minor is required prior to conducting the hearing upon a written notice to appear. Rule 4.103. Notice to Appear forms (a) Traffic offenses A printed or electronic notice to appear that is issued for any violation of the Vehicle Code other than a felony or for a violation of an ordinance of a city or county relating to traffic offenses must be prepared and filed with the court on Automated Traffic Enforcement System Notice to Appear (form TR-115), Traffic/Nontraffic Notice to Appear (form TR-130), Electronic Traffic/Nontraffic Notice to Appear (4-inch format) (form TR-135), or Electronic Traffic/Nontraffic Notice to Appear (3-inch format) (form TR-145), and must comply with the requirements in the current version of the Judicial Council’s instructions, Notice to Appear and Related Forms (form TR-INST). Obtaining a Adobe Signer’s certificate. 3.3v Buck Converter for a Lipo Battery to power the ESP8266. Did it work? I have a similar issue.